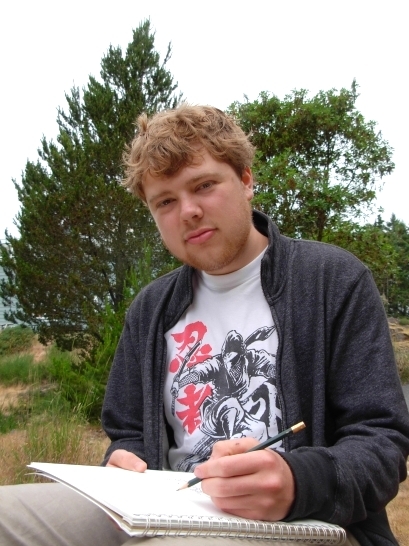 With sketchpad in hand, Jordan Weiss walks out his back door and perches on a rocky bluff overlooking the Juan de Fuca Strait and the forested shores of the Olympic Peninsula beyond. The only sound as he works is the occasional rustle of dry grass and the shushing of his pencil across the pad. For many, the tranquil and unhurried life here in rural East Sooke on southern Vancouver Island would be a dream come true. But for a teenager who is here by necessity, this paradise can also be a prison. The reason for Jordan’s isolation is his extreme sensitivity to wireless radiation. Exposure to wi-fi, cell towers, and even cell phones causes a range of physical maladies for Jordan as well as horrifying “night terrors”—a form of sleep-walking that can result in serious injury, and has on more than one occasion. The isolated rural setting of East Sooke offers a lower ambient level of electromagnetic radiation. 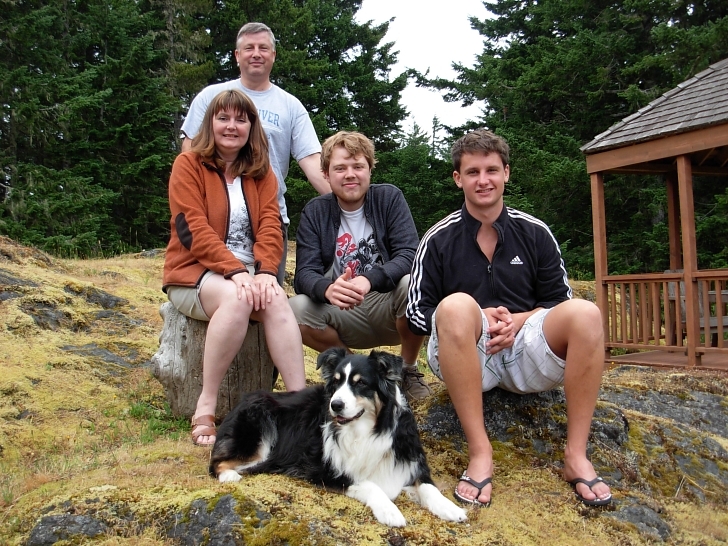 After much looking at rural properties within commuting distance of Victoria where both parents still work, the family found an area in East Sooke that, because of landscape configuration, offered little or no cell phone reception. A handful of houses are located on that strip of land. One of those houses was for sale. Most teenage activities are in wi-fi’ed locations—whether it’s a café, school, rec centre, or private home. Nor are teenagers inclined to turn off their cell phones when asked. 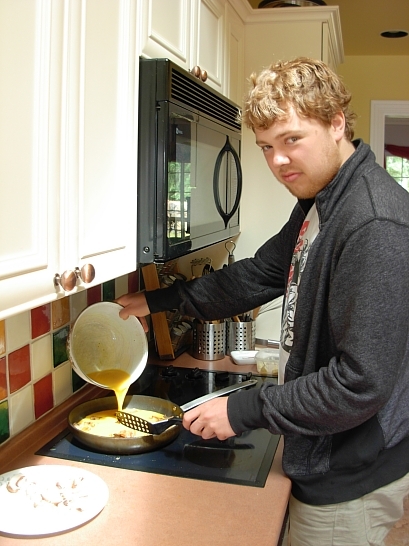 Jordan cooks us up an omelette with his special sauce. Jordan’s electrosensitivity first manifest when he was 11, soon after he got orthodontic braces. (This is an increasingly common scenario for many electrosensitive children due to wi-fi in schools. Metal dental braces literally become an antenna, drawing ambient radiation into a child’s head.) Jordan began experiencing blistering headaches, nausea, clumsiness, weak legs, inability to focus or retain information, and severe exhaustion. His mother Karen believes the underlying trigger for Jordan’s electrosensitivity may reach as far back as pre-school when his daycare for two years of his life was across the street from a cell tower. Jordan’s symptoms swelled to crisis proportions when the family renovated their former home and installed wi-fi and cordless DECT 6.0 phones throughout, including beside Jordan’s bed. He felt awful at friends’ homes with wi-fi, and felt great when sleeping over at friends’ homes without wi-fi. After much research, investigation, and visits to doctors and sleep clinics, Jordan’s parents finally identified the cause of his problems: wireless radiation. They removed the wi-fi and cordless phones from their home, and Jordan immediately improved—at least for his hours spent at home. 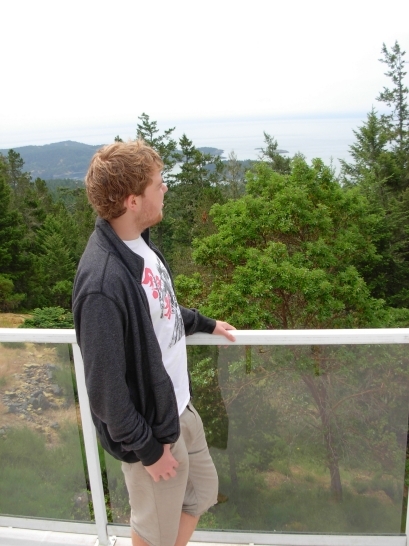 From his balcony, Jordan surveys the rugged rural terrain of East Sooke, and the Juan de Fuca Strait beyond. The move to East Sooke has virtually put an end to the harrowing and dangerous night terrors. Yet every foray out into the world to attend an art class or social gathering or a meeting of the local mountain bike club risks a re-appearance of symptoms due to ubiquitous wireless radiation. “It is really a life-altering issue that adds an entirely new dimension to almost every decision Jordan makes,” Karen says. Jordan is a young man of many talents. He cooks us a scrumptious omelette made with his special sauce, then sits on the sofa and plays the Djembe (an African drum) with gusto. He tells me he would someday like to create graphic novels and design video games. A display case in the hall holds an impressive sampling of his sculptural works and other art. Yet with electrosensitivity dictating where he can and cannot go, limiting his training opportunities as well as social interaction and future workplaces, Jordan faces more challenges than most young people in discovering his path through this world and how to ply his talents in it. In earlier years, he had wanted to be an architect. But now, the prospect of spending years at university—awash as they all are in wi-fi, cell towers, cell phones, iPads, laptops, and myriad other wireless devices—seems out of reach. Last winter, Jordan was training to be a ski instructor at Mount Washington on Vancouver Island. But the presence of a cell tower, plus the radios they all had to carry, nixed that plan. Most people, if asked to describe their ideal life, would talk about getting a piece of land, or finding that special someone, or having the time and money to write novels, or just kicking back in a thatched palapa on a tropical beach. 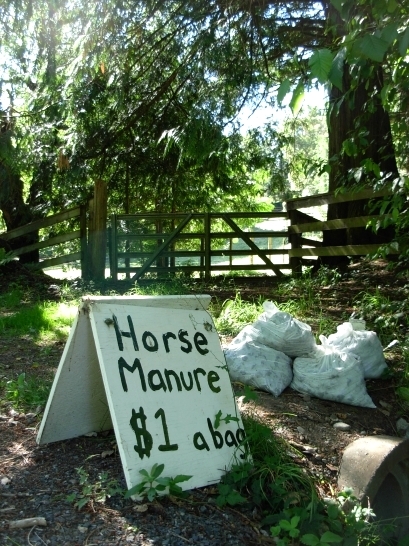 And to a large degree, that is what he now has at his new home in East Sooke. His special refuge is rugged East Sooke Park, located just below his home. He visits it frequently with his Australian shepherd, Keisha. This entry was posted in EHS Stories and tagged art, cell phones, electrosensitivity, Jordan Weiss, music, night terrors, Vancouver Island, Victoria, Wi-Fi Sickness on July 30, 2013 by Kim Goldberg. I have to tell you, Kim, this story about a young man so affected by wireless emissions really breaks my heart. Hang in there, Jordan. You are very blessed to have a a family who understands your needs and who are doing everything they can to help you. Here is a hug from a fellow-sufferer. Here is a hug for your whole family for their love and compassion. I found that too, Laurie. 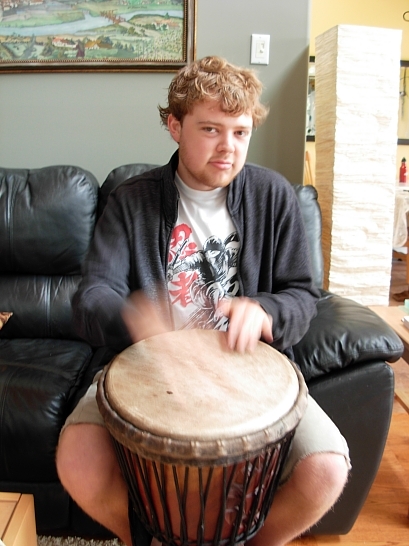 Jordan’s story is very powerful…someone just on the cusp of adulthood. He is at a time in his life when anything should be possible. Yet society’s toxic technology has imposed such limitations. As a sufferer of EHS, my heart goes out to Jordan and his plight. The place he lives in sounds wonderful though, but I can understand how a teen may feel about it. I was wondering if you have heard of the Dynamic Neural Retraining program that Canadian Annie Hopper is providing in 5 day workshops…it helps those with EHS and other Limbic System issues. Please check it out. Annie, herself, had EHS, CFS, and other issues, and is completely well now, as are many of the folks who have attended her workshops. I have used her DVD program for my own EHS..it must be done daily for an hour…tough but doable and the results have been amazing for many EHS sufferers. with bare feet. or sleep on an earthing half sheet with a grounding rod in the ground. Earthing mats are actually quite problematic when used in high EMF environments such as a computer room or around other electronic equipment. While they do ground you, they also draw all ambient EMF into and through your body since stray electricity is always seeking ground, and you are converting yourself into a ground path by using an earthing mat. Many people (myself included) experience heightened symptoms when computing with an earthing mat. I tried it once and never will again. Even in a low EMF environment (such as a bedroom should ideally be) there can still be problems with earthing pads because these devices connect to the ground wire of your home electrical wiring, and that ground wire is not always free of stray current even though it is supposed to be. If a person is having success with earthing products, I say fine – go for it. But many people experience a worsening of symptoms when using earthing mats and pads, and this is why. So I personally do not recommend them. Thanks, Kim, for this information. I purchased an earthing mat a few years ago and never felt better using it. I have a couple of friends who used the earthing sheets on their beds and felt better, had more energy, slept better, etc. but I did not invest in one, and now am glad I didn’t…they are pricey…and the ambient electric current possibility is very real, I think. I do want to add that earthing supplies may be great for someone with high blood pressure or other issues, but I do not think someone with EHS should use them for the reasons you mentioned. I wonder if some of this reaction to EMF may have a component that includes exposure to heavy metals. Being that these metals are conductive in nature, if your child has internal metal content, these may be lead, mercury or aluminum, perhaps his symptoms are being seriously exacerbated. Something to look into, if it help reduce reactions….you might look at cilantro and chlorophyll for natural chelation. Just a shot, but one never knows…. Wow! So inspiring how he managed to figure out how to live in a world with LOTS of WiFi!